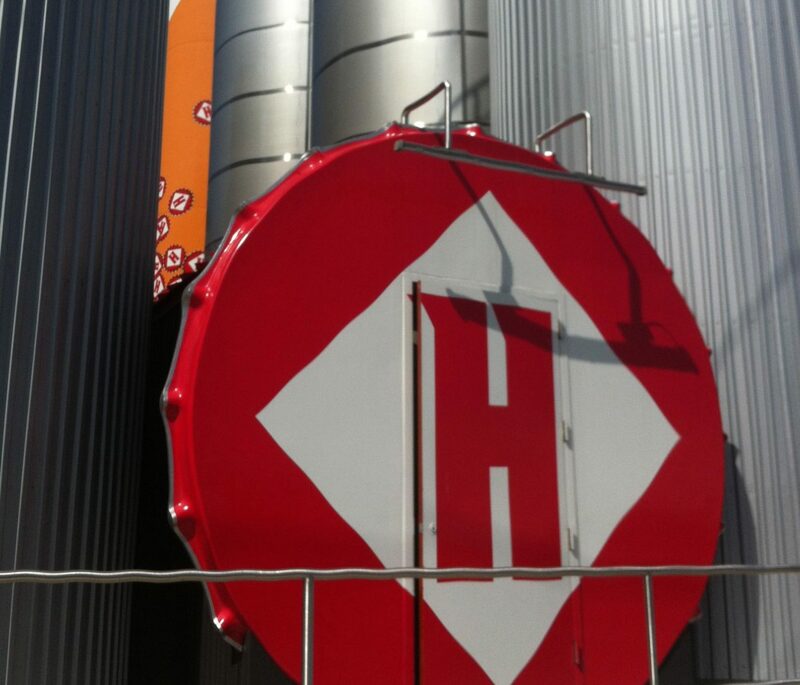 On a blustery afternoon in March, a short stroll from the Boston Seaport Hotel and Convention center (site of the annual American Craft Beer Fest), I found myself at the Harpoon Brewery. Along with the usual beer swag and a sweeping view of fermenters and brew kettles, was a really nice wooden bar and tasting area – with about 25 beer appreciators of all ages eager to sip some great craft beer. Angela and Sam were our friendly guides – and showed real beer knowledge and passion about their dozen or so Harpoon selections including Scratch series specials, brewery only “breakfast stout” and standard UFO (Unfiltered Wheats) and Harpoon styles. 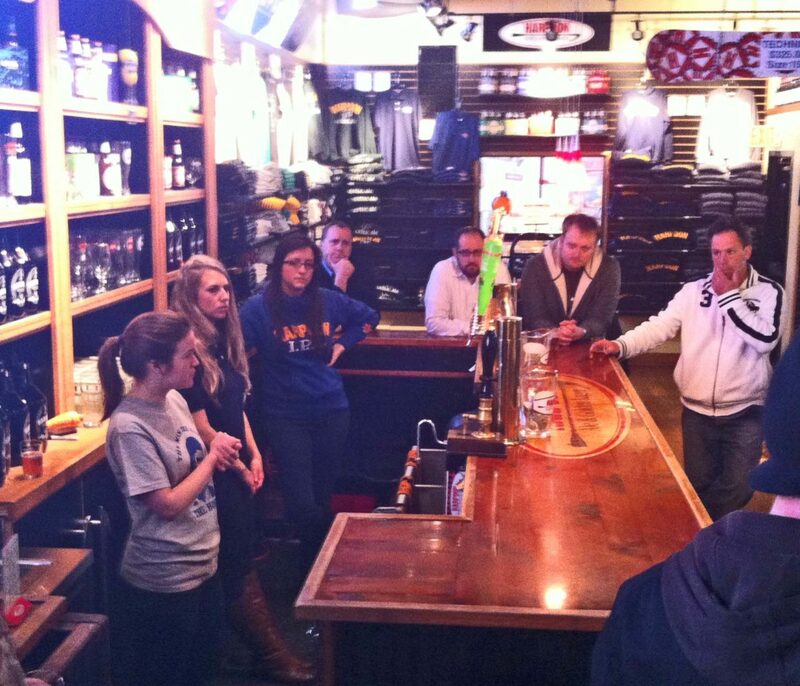 Angela proudly pointed out that that the 25 or so people who showed up at 2pm on a Monday were seriously interested in beer – and that means something – for Harpoon and beer appreciation in general. In a similar theme, the brewers put out signs listing the beers being brewed and time they were going in to the boil – unusual in my experience, and a clear way of attempting to engage visitors in the brewing process. I was personally intrigued to find a “Catamount” maple wheat beer on tap and in bottles, as I visited that brewery in Vermont some 23 years ago. One of the staff explained to me that Catamount was already out of business and happily sold off their building, equipment and some recipes to Harpoon many years ago. This was a clearly a better brewery tasting experience than most – worth a stop next time you are in “bean-town”. Wicked good beer too.